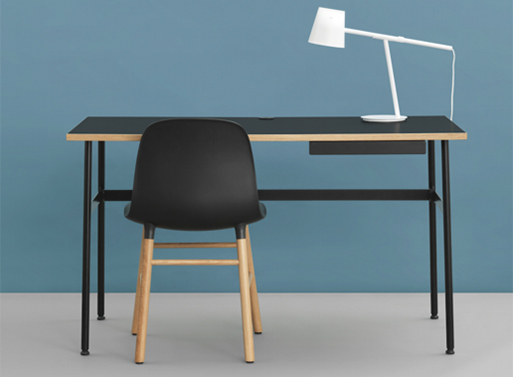 Another petite desk option? You betcha. 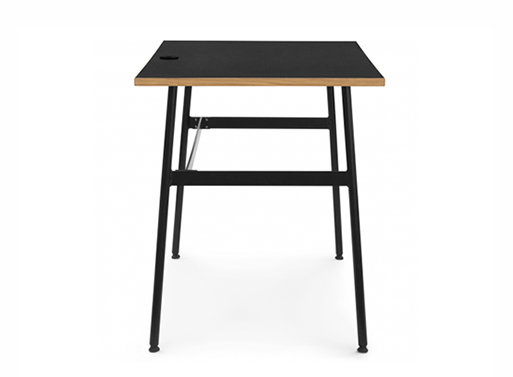 This one arrives flat-packed (that makes it affordable) and has a moveable drawer to suit right or left hand users. An integrated wire grommet helps control cord clutter and its smaller footprint can fit snugly into a corner of the room, making the most of every inch. Material: Powder coated steel legs and steel drawer painted in same color as tabletop. Silicone rosette at hole for power-cords. Available in four colors: black, blue, gray, white.